is a holiday. Please check the bulletin! 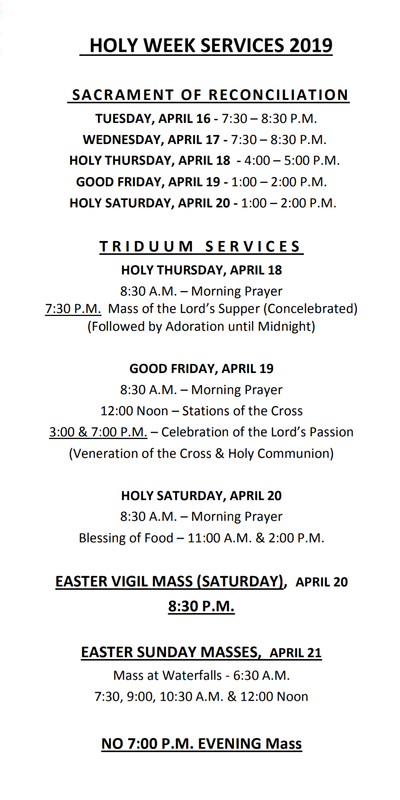 Monday through Friday after 7:00 pm Mass.